Recycling is a very current issue in the world. The Government expect at least 70% of all waste to be recycled. We are pleased to assist the Government with this and have fully trained members of staff to ensure that the Government’s expectations are met. Cheddar & Wells Skips are proud to say that we are recycling between 80% and 90% of all waste. This means that we are helping to keep the carbon footprint within Wells and the surrounding areas to a minimum. We have all necessary carrier licences and have completed WAMITAB training to ensure they are all at a competent level when dealing with waste, so you can be confident that we will deal with your waste efficiently and appropriately. REDUCE – This applies to the waste producer, who quite simply should try to reduce the amount of waste they generate. RECYCLE – The most widely used and practised purpose, recycling is where waste can be re-used for a different purpose. RECOVER – This is when waste is used for other processes, such as wastes to energy plants. DISPOSE – The term nobody likes; it’s not green, it’s not recycling, but disposing of waste when none of the above can be done. 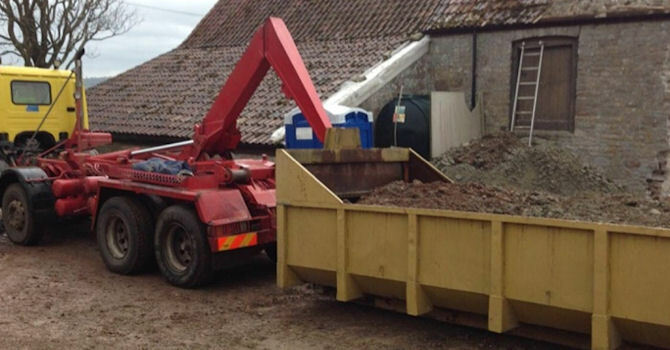 Cheddar Skips has it's own waste transfer station which enables us to recycle 98% of waste that comes in.